It is nice to be back after a valuable and recharging break. It is also wonderful to renew acquaintance with the valued readers. The break was necessary but I could not wait for the self-imposed sabbatical to be over. In this article I have gone back to the reader's suggestions, specifically Xolile. He had suggested a few months back that I should look at separating the significant Test innings based on runs scored and balls faced, wherever such information is available, and rating batsmen using this information. I have taken that suggestion and completed the analysis after significantly improving the basis. He had suggested that I take 80 runs and 160 balls as the basis. I have instead worked on a dynamic fixing of the cut-off points based on the specific match conditions. The idea is that I should achieve the following inclusions and exclusions through this analysis. The analysis should be done so that the following innings (just a few examples) are included. and the following innings (just a few examples) are not included. I have taken one decision, slightly reluctantly. Any 100 would be considered to be significant. Although I do not consider a 100 by itself to be anything special, I think this is a correct decision since out of the 68,879 innings played to date only 3370 hundreds have been scored and this constitutes around 5%. It is not a bad premise to start with, banking one in twenty innings. As far as the often quoted instances of batsmen scoring 100s in dead match situations, the following example will show the pitfalls. Team 1: 300 for 5. Team 2: 300 for 6. Team 1: 300 for 7 (Xyz 100+). If the first two days are lost due to rain, the third innings century is a totally irrelevant one scored on the last day. On the other hand if the last two days have been washed out, the third innings century is a very relevant one made in a live match situation on the third day. If the rain had occurred on other days, the value of the 100 would oscillate significantly. Hence pre-conceived notions of the significance or non-significance of innings should not be used to come to conclusions. Also incorporating rain factor, when it happened, on what day the runs were scored all are virtually impossible in any analysis because of the absence of dependable data. Since 80 and 160 are arbitrary, I have worked on a dynamic determination of the cut-off for each match, separate for either team. This makes sense since I should include an innings of 9 and exclude a 88* innings. There cannot be common cut-off criteria. The cut-off methodology is explained below. Based on the cut-off points 2 to 5, 12,529 innings below 100 have got selected. An innings is considered to be significant if it satisfies any one of the following five conditions. 1. The runs scored is greater than or equal to 100 (already talked of). 2. The balls faced is greater than or equal to 200. 3. The runs scored is greater than or equal to the cut-off figure for the team, as explained below. - For batsmen 1-7, 1.333 times the Runs per wkt value for the team for the two innings together. - For batsmen 8-11, 1.167 times the Runs per wkt value for the team for the two innings together. 4. The balls faced is equal to or higher than the cut-off figure for the team, as explained below. - For batsmen 1-7, 1.667 times the Balls per wkt value for the team for the two innings together. - For batsmen 8-11, 1.333 times the Balls per wkt value for the team for the two innings together. 5. To take care of very low innings totals, see Hutton example above, the runs scored is greater than or equal to one third of the team total. The team should have lost 5 wickets or more. Otherwise Stollymeyer-type innings would get through. Seems complicated but all conditions are logical once the above 5 conditions are understood properly, and the fact that an innings has to adhere to at least one of these in order to be seen as significant in this analysis. Of course, a cursory glance would be woefully inadequate. These cut-off numbers have also been determined after a lot of trial work during the past few days. A higher cut-off will mean missing out of some significant innings while a lower cut-off will mean inclusion of ordinary innings. Overall this method is slightly unfair to older batsmen since they have only the "Runs scored" criteria available to them. However nothing can be done about that. I got a massive list of 15,899 innings, which is about 23% and this figure looks good. Then I posted these into the player database and got the player table. This table is sequenced on the % of significant innings since the number of innings played varies considerably. The cut-off for batsman selection is 3000 runs and above. 159 batsmen qualify. How often do we a table headed by Bradman. More than 1 out of 2 innings played by Bradman are significant. He is the only player to have exceeded 50%. Then come two giants, Weekes and Hobbs, who have figures around 48%, the one mitigating factor is that they are within 10% of Bradman. Now the biggest surprise. The unheralded and unsung Chanderpaul clocks in at 46.7% ahead of his more illustrious contemporaries. It shows the solidity and quality Chanderpaul brought to position No. 6. He could very well improve in the years to come. Barrington and Sutcliffe come in next, both great defensive batsmen. Hutton chips in in the 10th position. Now we have two modern greats, Lara and Dravid. Lara's playing in a weaker team has helped a bit in this regard, but there can be few detractors to the claims of his greatness. Same applies to Dravid. What he has achieved for India has not been acknowledged, especially on the Test front. It is very pleasing to see some of the Indian greats of the past eras, viz., Viswanath, Umrigar, Manjrekar and Gavaskar appear in the top-20. They played in tough times and this has been recognised. Rounding this table in the 9th position is Andy Flower, one of the greatest modern batsmen ever, slightly benefiting from playing for a weaker team. I have also given below the top 10 batsmen in terms of number of significant innings. This is a quantity table. 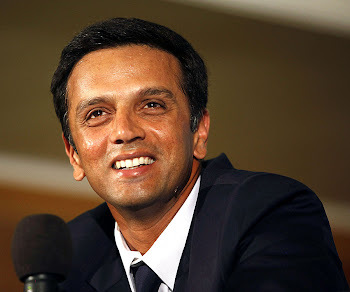 Dravid is on top with 108 performances and is followed by Lara with 106. Both are placed in the top-10 of the main table. Then comes the great fighter, Border and the incomparable Tendulkar with 103 significant innings. These four are the only batsmen to exceed 100 significant innings. Chanderpaul and Kallis should soon breach this number. Is this analysis available on Cricinfo?